Recreation and entertainment facilities accommodate large crowds of people—but they also need to feel welcoming. A NanaWall operable glass wall system draws in visitors with a wide, seamless transition between outside and in. By removing the barrier between the facility and the outdoors, a NanaWall system facilitates attractive free-flowing event spaces. Quickly modify dining areas, bars, meeting rooms, training, and athletic facilities to meet specific event requirements and varying use rates while transmitting natural light and creating privacy when needed. Weddings, graduations, birthdays - these are just a few of the life events that require a special venue. 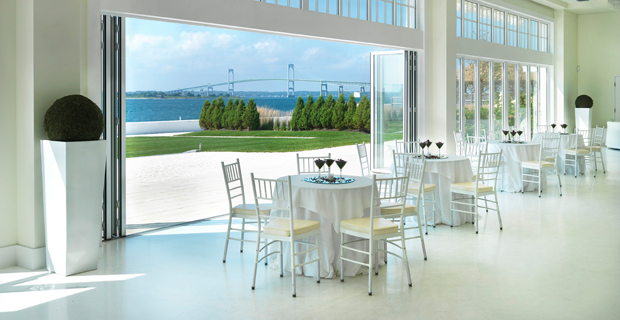 Recreation and entertainment centers that use oversized sliding or folding glass doors can extend the venue from a dining hall or convention room to the outdoors. This provides a seamless, enjoyable experience for attendees. Imagine a couple celebrating their wedding day - as plates are cleared from the tables, the couple moves from the reception hall to an outdoor dance floor. The bride doesn't even have to worry about her dress getting caught, because the door runners are completely flush with the floor. This kind of attention to detail is possible when you use an operable glass wall system at your event venue. At recreation centers, interior and exterior glass wall systems provide transparent barriers between rooms, offering sound protection that rivals other types of materials. Visitors will also enjoy the enhanced natural lighting that glass walls add to a space. NanaWall movable glass wall systems are customizable to fit the needs of your facility. We have a team of experts standing by to tailor your solution. Plus, our clients receive lower costs on signature colors, logos and hardware styles. Importantly, every NanaWall product is independently tested for air, water, impact and thermal performance. Our German-engineered multipoint locking system doesn't falter during most forced-entry testing for commercial-grade doors. Want to drown out the sound of extreme weather and protect guests from its effects? Our glass wall system is sound resistant, enabling it to preserve the interior atmosphere during any circumstance. At the much sought after wedding venue, Belle Mer Boutique, an all white ethereal event space has been created that blurs the line between the interior and exterior space. 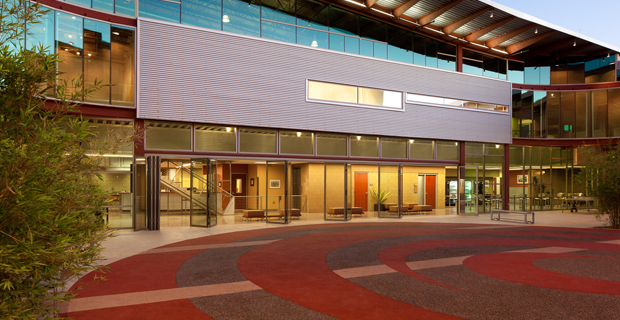 To meet the needs of the multigenerational community using this recreation facility, a seamless transition was created to integrate the courtyard with the facility’s lobby. 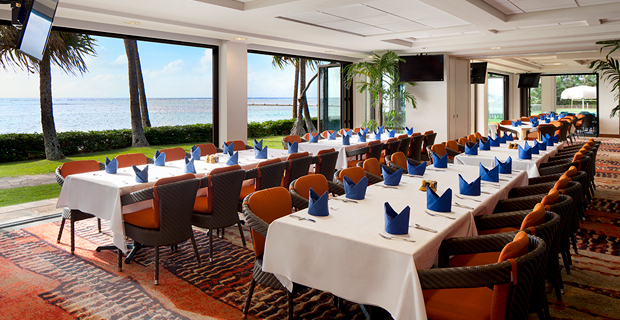 Honolulu’s Waialae Country Club hoped to enhance the experience for club members and guests by bringing the spectacular views from the enclosed lanai all the way into the dining room. The Yocha Dehe Golf Club was designed with one main program element in mind, a flexible floor plan able to host multiple events in conjunction with the day to day operations.